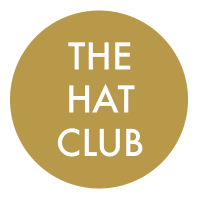 Let The Hat Club help you find the most perfect hat for the big day! Whether you are the Mother of the Bride, the Mother of the Groom or a lucky Wedding Guest we have such a large selection of beautiful designer hats we are sure we can find you just the thing. Hat hire allows you to wear a really special couture hat or headpiece for a fraction of the cost. If you are coming into Fordham showroom remember to bring your outfit with you. But of course you can view and book online too and we will courier your chosen item straight to your door across the UK. We have a large selection of traditional wide brimmed hats, although wide brimmed hats are no longer considered ‘essential’ for the wedding party, so you could also look at our cocktail hats and headpieces if you prefer. Hats are of course traditional for wedding guests, but by no means compulsory at modern weddings. We love any occasion that welcomes fabulous millinery and have an extensive collection of hats and headpieces that are perfect for weddings.